The Old Operating Theatre Museum and Herb Garret in London is a unique and atmospheric place that allows you to step back in time to the days of surgery before anaesthetics and infection control existed. You can stand where operations were conducted in the early 19th century and marvel at the herbs and potions used by the hospital Apothecary for treating all kinds of diseases and illnesses before the advent of modern medicine. Closed mid December to early January. 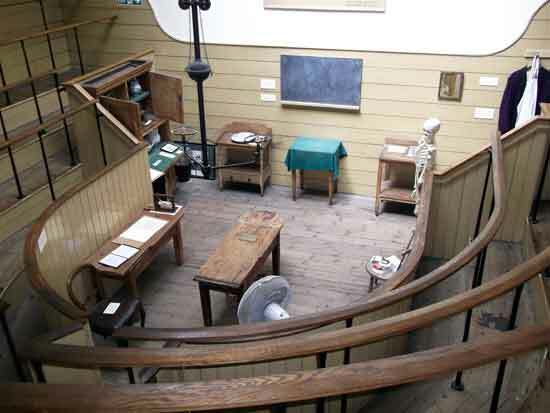 Just round the corner from London Bridge Station, this friendly little medical museum is in a fantastic location for combining your visit with the many other attractions nearby. These include Southwark Cathedral, Borough Food Market (on Fridays), the Clink Prison Museum, Shakespeare's Globe Theatre and Tate Modern which are all only a short walk away along the river side! 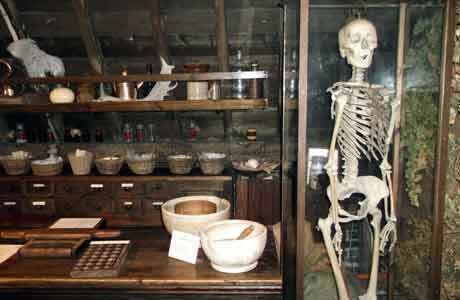 The Old Operating Theatre Museum itself is an incredible survival from the early eighteenth century. It is set in the large garret (or attic) of St. Thomas' Church, which was then part of the hospital of the same name. The space was used by the hospital Apothecary for storing and preparing herbs used to treat the sick. The room was chosen for this purpose because it was away from the damp and rats that infested so many of the basements below. Then in the early nineteenth century the hospital expanded and half the herb garret space was developed into an operating theatre. This still survives today, much as it would have been when built in the 1820's. When London Bridge Station was later developed in 1862, the hospital had to move to a new location and the Old Operating Theatre and Herb Garret were boarded up and forgotten about. It was re-discovered in the 1950's and when it was opened up, the operating theatre and some of the original herbs including opium poppies were found to still be there just as they been left nearly a hundred years before. I had been to this museum many years ago when I was a nurse at Guy's Hospital just over the road and it had always been one of my favourite London museums. On visiting it again, I was pleased to discover that it is still just as enchanting! 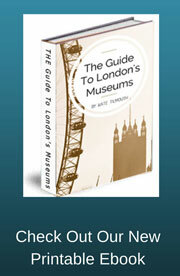 The museum is housed within a beautiful baroque church set among a terrace of elegant eighteenth century buildings. As you enter the door, you then have the fun of ascending a steep stone spiral staircase, clinging on to a thick rope banister for support, as you climb up the inside of the church tower to the garret above. 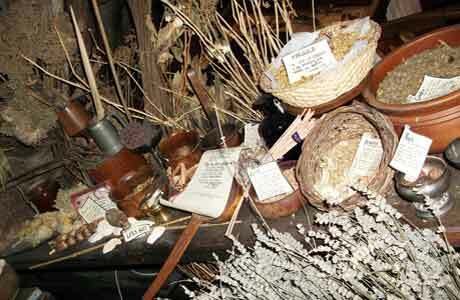 Through the delightful little museum shop, you then enter the herb garret itself. You are immediately struck by the intensely evocative atmosphere, heightened by the warm and musty aroma of old wood and dried herbs. The floorboards creak pleasingly as you walk among the beams and rafters of this nearly three hundred year old building. 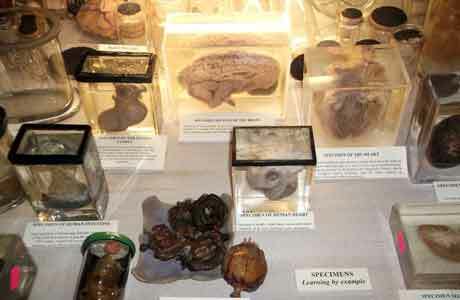 On all sides you are surrounded by specimen jars, displays of early medical equipment, anatomical models, poison bottles, and of course, more herbs. 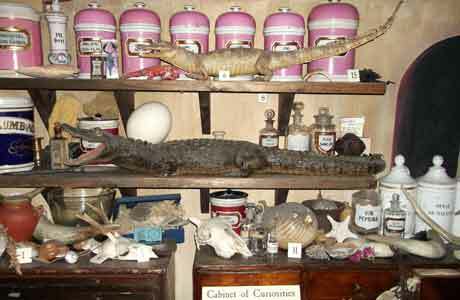 There is a wonderful reconstruction of a 14th century apothecary shop and a display of animal parts that were once used in early medicine. While I was walking round, one of the helpful attendants appeared to be giving a visitor an impromptu demonstration of how to prepare a herbal remedy. A recipe for Snail Water caught my eye, as did the jars that previously housed leeches used for blood-letting; moss used for wound dressings in battle; and nettles used for consumption (that’s T.B to you and me). The museum proves to be a fantastically imaginative way of telling the story of the early development of medicine and nursing. Passing displays of early anaesthetic and surgical equipment, you then enter the actual Old Operating Theatre itself. This is where you can stand in the viewing galleries from where medical students used to watch the operations. In the centre of the room, you can walk round the operating table itself which is little more than a rough wooden bench, and see the tray of sawdust underneath that was there to catch the blood. You can let your imagination run wild as you think of the conditions before the days of anaesthetics, when surgeons would have to work as fast as they could, while the patient would have to be held down by several assistants as they writhed in pain! Thank heaven for medical progress! It is a true wonder that this place survived and we should be grateful that it was found again after nearly a hundred years. I really don't think there is anywhere else quite like the Old Operating Theatre Museum and Herb Garret and it certainly makes for a fascinating and memorable visit.